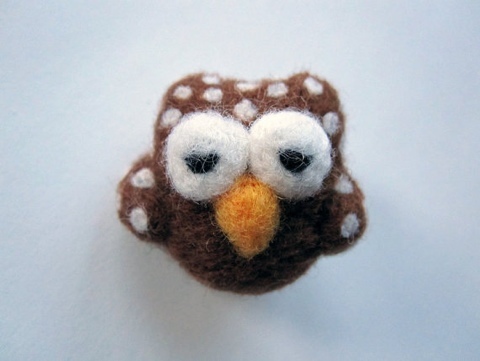 This entry was posted in waffle and tagged handmade, needle felting, owl by stupidcats. Bookmark the permalink. Great stuff! 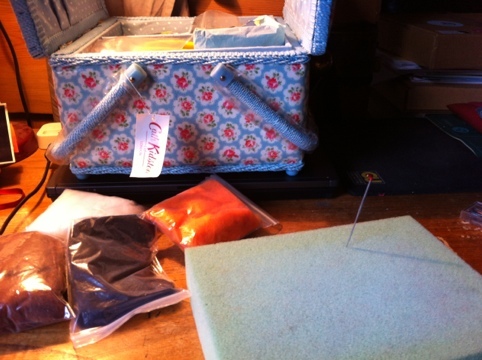 I have my felting needle taped to a cork, I dunno if that’s more for beginners though! Love your little fledgling! 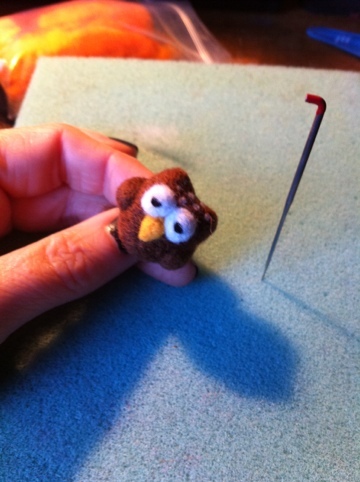 I’m determined that 2012 is going to be the year I actually succeed in completing a needle felt project! Very cute, he won’t last long!